Lush Fab Glam Inspired Lifestyle For The Modern Woman: Breakfast Of Champions: Going Green With Ozeri. Breakfast Of Champions: Going Green With Ozeri. A staggering number of people skip out on the most important meal of the day, breakfast during their early morning rush to get out the door and into the office or university classroom. We all know the importance of eating a balanced diet filled but few of us realize that skipping out on a healthy and nutritious start to the day leaves us feeling fatigued. And with very little energy and mental alertness to perform basic tasks. That's something a cup of coffee won't fix. 1 Ozeri Green Earth Pan for frying your omelette. Place your butter or cooking spray into your pan on medium heat. Place your eggs, black pepper and milk into the bowl. Using your fork, mix ingredients for 10-15 seconds. Once butter is melted and heated, pour contents of bowl into your pan. When top of omelettes begins to solidify but before it is fully cooked, add your spinach leaves. Then top it with your diced tomatoes and avocados. Finish it off by sprinkling your grated Mozzarella cheese on top. Once the cheese is melted and your egg mixture is fully solidified your omelette is ready to enjoy! 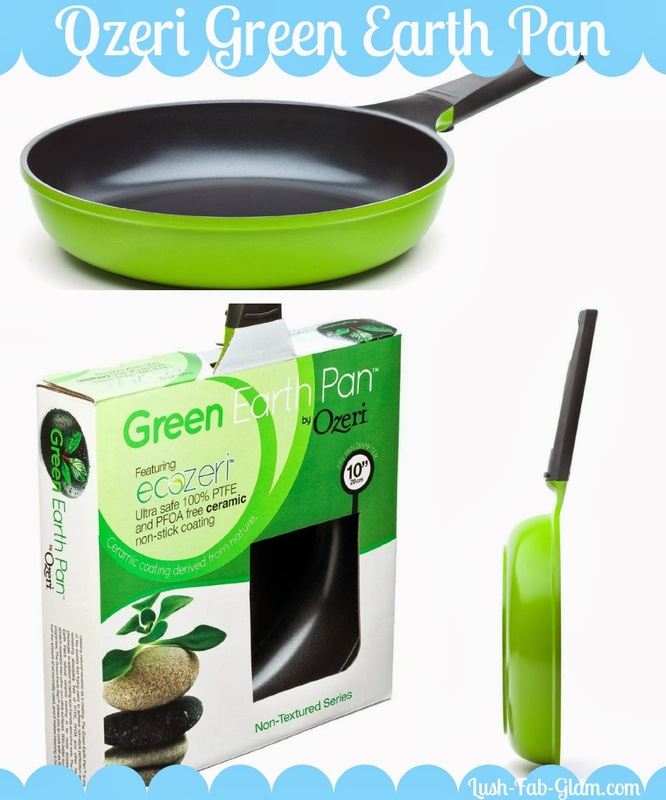 Fab Tip: To cook up our perfect breakfast omelette we used the non-stick, scratch resistant Ozeri Green Earth Pan . It contains no hard metals and is 100 percent PTFE and PFOA free, which means no harmful chemicals, toxins or fumes are released into your food once the pan heated. 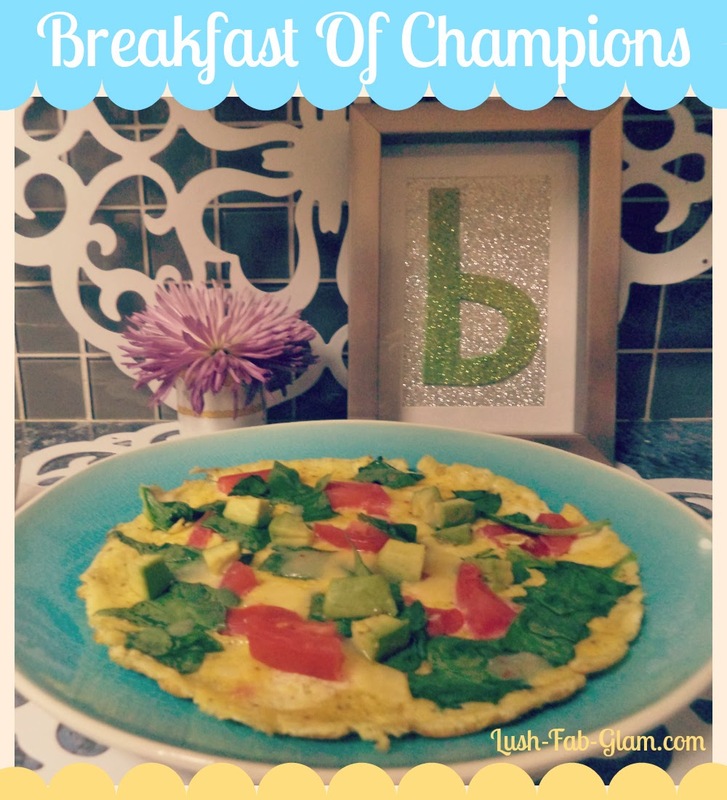 Ensuring that you will have a delicious and very healthy breakfast of champions! This post brought to you by Ozeri. All opinions are mine. How often do you skip out on breakfast and what's your favorite healthy breakfast meal to make? Share with us by leaving a comment below. That's a good looking omelette. I remember the first time I tried avocado in my omelette and now its quickly becoming the main ingredient :) Good bye loads of mozzarella cheese!